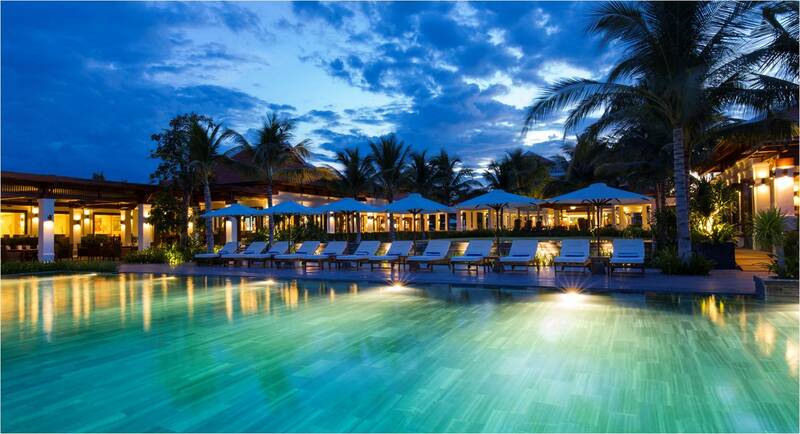 Five-star luxury resort overlooks coastline on scenic Cam Ranh Peninsula near Nha Trang. The luxurious five-star resort The Anam will celebrate its grand opening in April. The Anam overlooks 300 meters of absolute beachfront on scenic Cam Ranh Peninsula in south-central Khanh Hoa province and basks in sunshine at least 300 days of the year. Shaded by 3,000 swaying palm trees, the lush 12-acre property overlooks Long Beach and its white sands and turquoise waters dotted with the occasional sampan and coracle and picturesque islands in the distance. The resort has 117 villas and 96 rooms and suites. Its design was inspired by Vietnam’s bygone Indochinese era, evoking a nostalgic tone with its imperial-style roofs, lanterns, big-belled tone vases, old Vietnamese mosaic tiles, and stone pathways. The Anam also features a restaurant, a fine dining grill, a cocktail bar, a sports bar and beach club, in-room dining, a Balinese spa, a 3D cinema, three spacious outdoor swimming pools, a conference room, meeting rooms, a ballroom, water sports and fitness centers, a tennis court, yoga facilities, a kids club, and more. The Anam’s villas have been recognized by Worldhotels as “World Luxury”, becoming one of only six worldwide to have achieved the status. The resort is easily accessible from Ho Chi Minh City and Hanoi through Cam Ranh International Airport. The Anam is one of Vietnam’s top coastal resorts and the first truly luxurious property in up-and-coming Cam Ranh, a pristine coastal destination removed from the hustle and bustle of the nearby beach city of Nha Trang.